The core focus of ACCESS is to deliver high impact on the ground through programs and projects being implemented in the field. ACCESS is fortunate to be supported by a large number of stakeholders for implementing diverse programs on the ground. To ensure that ACCESS programmes are not thematically scattered a sub sector approach has been adopted under which those sub sectors where a larger number of poor are engaged are identified for intervention. 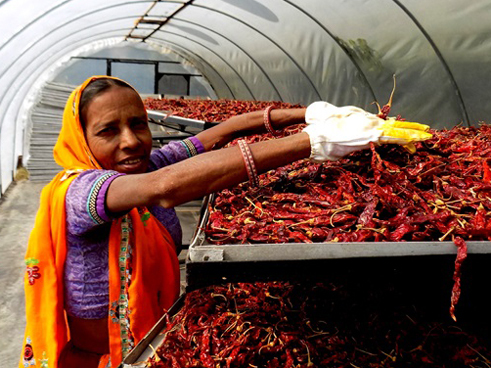 Although the key programmatic focus of ACCESS is supporting small and marginal farmers it is also implementing a few large nonfarm sector programmes. The core strategy within most ACCESS programmes is to organize the primary producers, help aggregate their subsistence level produce and integrate them in the value chain. ACCESS seeks to develop ‘inclusive value chains’ within which it helps the primary producers to accrue greater benefits from the value chain. SFAC supports 14 programmes in four ACCESS programme states under the National Vegetable Initiative and National Pulses Initiative. Besides the need to improve agriculture productivity and strengthen the backward and forward linkages, partnership with SFAC has also provided the opportunity of organizing the farmers into Farmer Producer Organizations (FPOs). 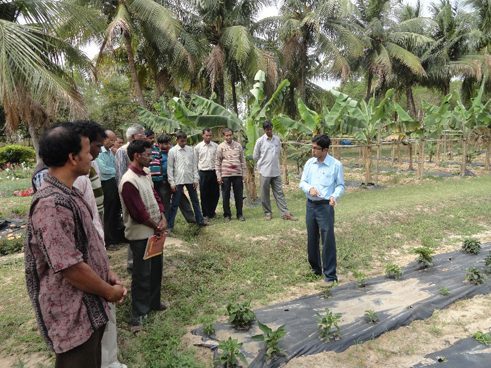 The purpose of the project is to collectivize farmers, especially small producers, at various levels across several states, to foster technology penetration, improve productivity, enable improved access to inputs and services and increase farmer incomes, thereby strengthening their sustainable agriculture based livelihoods. Government of Rajasthan. The programme titled “DharaShakti” will cover 40,000 small and marginal farmers over a period of three years and will strive to impact over 1, 00,000 farmers indirectly. The programme is the largest awarded to ACCESS across its ten years. This large initiative is expected to introduce significant innovative package of practices both in cultivation and post-harvest and link small producers to mainstream markets, thereby building inclusive value chains. With support from Rashtriya Krishi Vikas Yojana – a scheme by the Department of Agriculture, Government of Rajasthan – and running in tandem with Jeevika project supported by HSBC CSR, the project is composite livelihood promotion effort to improve the lives of primary producers through enhanced economic opportunities, greater financial awareness and enabling empowerment, specifically targeting poor women. The project has intervened in three basic components of socio-economic domain which are access to finance, access to entitlements and enhancing economic opportunities. 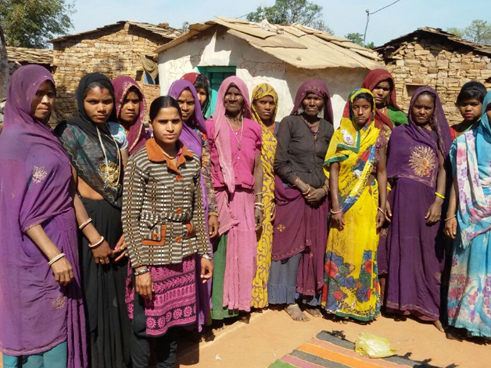 The effort in Sawai Madhopur has largely focused on women from the villages relocated from the forest sanctuary, mostly belonging to OBC and SC households. Most of these women are members of the Ranthambor Mahila Ajeevika Producer Co. Ltd (RMAS), which has been incorporated in Sawai Madhopur. 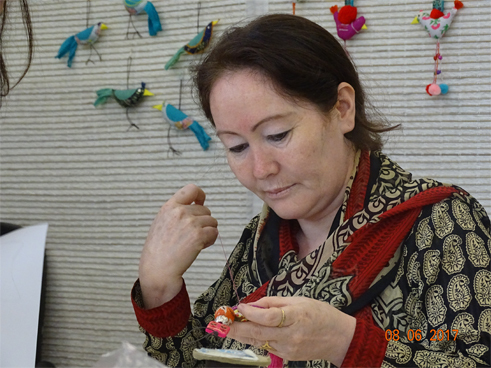 In Jaipur, Jeevika has largely focused on fashion jewelry artisans who mostly belong to the minority community and are mostly migrants from West Bengal, but settled in Jaipur. Pink City Rickshaw Co. is an ACCESS initiative, seeking to accomplish triple bottom line (economic, environmental and social) outcomes. 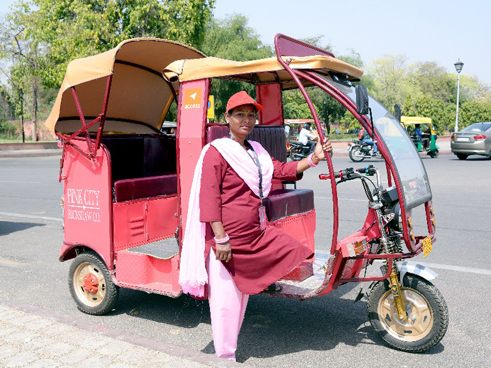 200 women drivers, all from the slums and low income areas of Jaipur will drive ‘one of a kind’, stylized environment friendly e-rickshaw in the pink city of Jaipur. It will provide a new livelihood source and economic empowerment for young women from marginalized backgrounds, establish a profitable a public limited company with equity participation by the women and offer an eco-friendly option to address the problem of growing emission in the city. The initiative will work as a social enterprise and eventually the women drivers will be future owners of the company. ACCESS is the Lead Resource Agency in Rajasthan to coordinate and facilitate FPO promotion activities on day to day basis and help in creation of an enabling environment for FPOs. 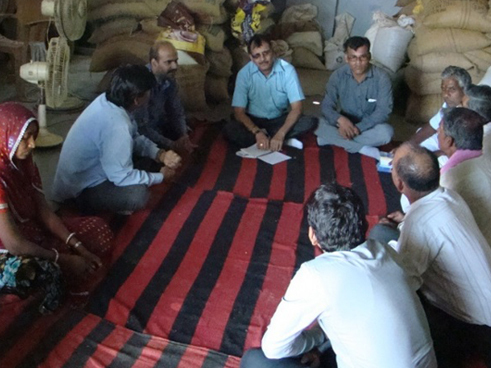 The Project “ Strengthening of Producer Company in Agri Value Chain Commodities in Jhadol “started in 2010 with support of RABO bank foundation under which a farmer owned institution” Udaipur Agro Producer Company Limited “got registered and is running with 2000 member farmers base. Apart from forming PoPs, processing of Ginger, Turmeric, and pulses it has successfully executed brand building, website creation and maintenance, marketing support, procurement from doorstep. Program witnesses hundreds of trainings, multiple exposure visits along with advisory services for the cash crops and pulses of the area. The ATMA project has been established at the district level as an extension agency to promote and disseminate agriculture technology amongst farmers. It has established linkages with line departments, research organizations, Non – Governmental Organizations and other agencies associated with agricultural development. 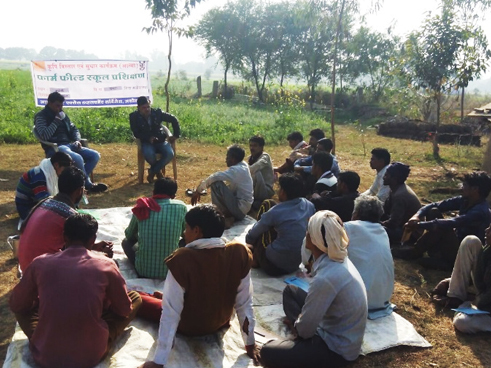 ACCESS is one of the Program Promoters Partners (PPP) with the Department of Farmer Welfare and Agriculture Development under ATMA in Rajgarh, Guna and Ashoknagar districts. 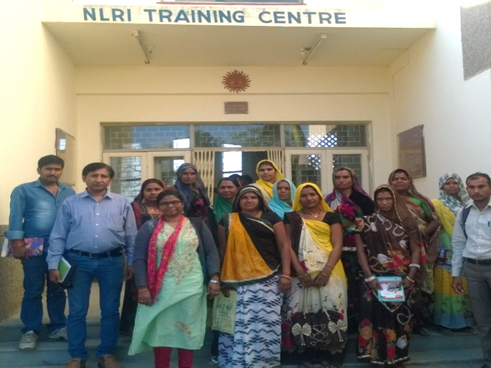 For its flagship CSR initiative ‘Mission Sunhera Kal’ in the block of Nagda in the district of Ujjain, ITC Ltd. has partnered with ACCESS Development Services. The ‘Mission Sunehra Kal’ is a part of the social investment initiative of ITC, the objective of which is to cater to the needs of the rural communities through its on-farm and off-farm development initiatives which include soil and water conservation programs, crop development, livestock development, women’s empowerment and gender equality with the overarching aim of empowering the stakeholder communities by promoting sustainable livelihoods. 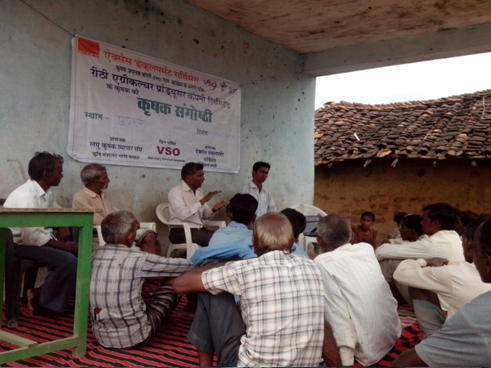 Under this project one of the FPOs was selected by VSO (Voluntary Services Organization) India Trust, an Indian developmental organization, for the project named ‘Improving Market Access through Farmer Producer Organization’. The main goal of the project was to help the participating farmers to realize their price better than before (as compared to the baseline data) for their farm produce and enable them manage the price risk better. At the time of project formulation, RAPCL had 778 marginal and small farmers as members and a share capital collection of INR 59,750. 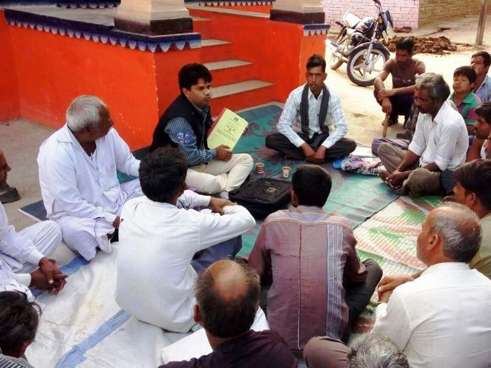 With the help of numerous village level meetings RAPCL was able to mobilize 2019 farmers. Further 700 farmers have given their share money fully or partly making the total share contribution to INR 2.5 lakh. Various trainings, workshops, field demonstrations and exposure visits were planned and organized to increase agricultural knowledge base and provide all round technical support to community partners, staff and local resource person. Small Farmers’ Agribusiness Consortium (SFAC), a Society promoted by Dept. of Agriculture, Govt. of India, has been nominated by Ministry of Agriculture to act as a nodal agency to coordinate with various State governments, civil society partners, private sector, financial institutions, resource persons and other stakeholders to help in the conduct of baseline studies, promote Farmer Producer Organizations (FPOs) across the country and link producer groups (both existing ones and newly formed institutions) to marketing opportunities. The purpose of the project is to collectivize farmers, especially small producers, at various levels across several states, to foster technology penetration, improve productivity, enable improved access to inputs and services and increase farmer incomes, thereby strengthening their sustainable agriculture based livelihoods. The SFAC uses the strategy of organizing Farmer Producer Organizations (FPOs) to take up this agenda and achieve the objectives. To undertake this task, the Mission has commissioned non-governmental organizations to organize FPOs to achieve the intended objectives. Training and capacity building of SHGs on sustainable harvesting of NTFPs and their primary grading and value addition at SHG/Producer group level. Promote adoption of sustainable practices in their collection so as to stabilize/increase the decreasing resources due to destructive harvesting practices of NTFP collectors. Increase in the income generated by the collector/ producer group through NTFP collection by way of better rate realization. Primary processing and value addition of the collected NTFPs to fetch better returns. Federating the producer groups in the form of a producer company which will facilitate trade and marketing of the value added products. The project mainly focuses on four specific NTFPs, which are Salai gum, Amla, Bael and Gudmar. Small Industries Development Bank of India (SIDBI) has entrusted ACCESS Development Services with a 32 months project for the development of Textile Cluster at Bhagalpur. The project aims at improving the overall working condition and productivity of the weavers by intervening in to different gap areas of the cluster such as infrastructure, technology, design development, skill development and institutional development. 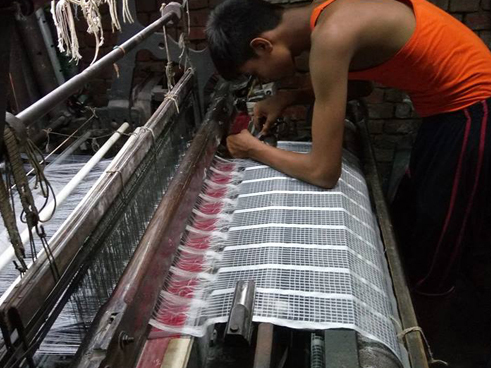 To collectivize the small and marginal power loom weavers of the cluster in to a single platform ACCESS Development Services has recently promoted a producer company by the name “Bhagalpur Living Looms Producer Company Limited”. The major objective of the company is to enhance the exiting domain knowledge and skill sets of the weavers through various capacity building program like design development, product development, quality assurance and dyeing. The company is also going to take up the business activity of weaving, dyeing, printing and marketing of power loom products. Later a website is going to be developed to link product of the company to garb the business opportunity in contemporary E-market, national as well as overseas market. A holistic action plan is been developed to counter each and every gap areas of the cluster to make it a smart and advanced cluster in powerloom sector. Odisha Livelihood Mission OLM) has identified ACCESS Development Services as the Technical Support Agency (TSA) for development of value chain in the state of Odisha. 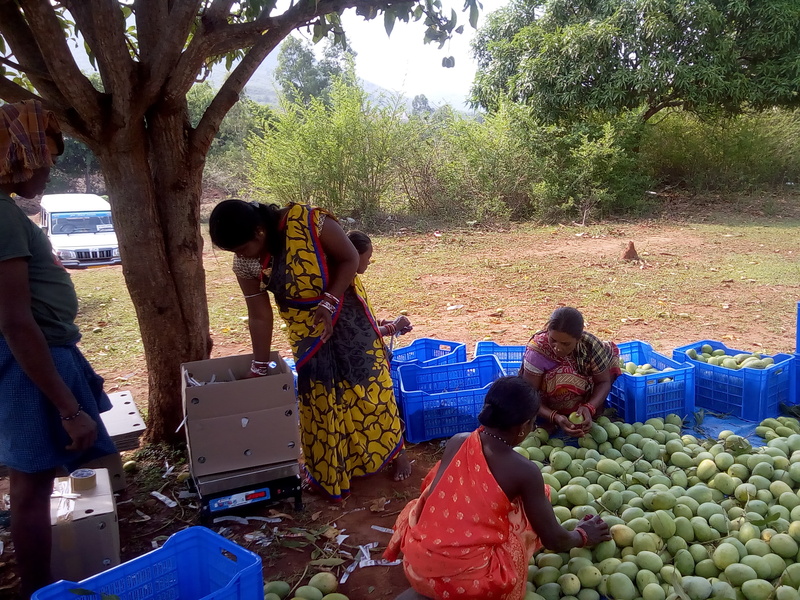 A special fund project has been sanctioned from the World Bank dedicated funds for livelihoods interventions for promotion of livelihoods clusters in 3 districts of Odisha through value chain approach in four different commodities viz. Mango, Cashew, Ginger and Hill broom. 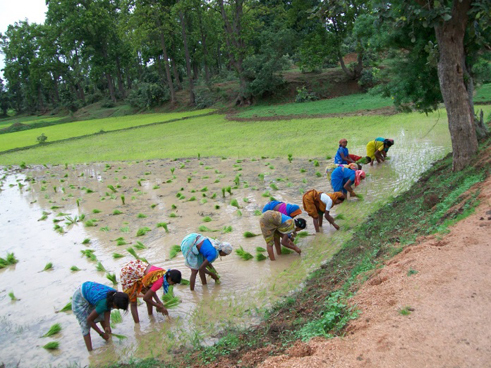 The main objective of the assignment is to provide technical and handholding support to Odisha Livelihood Mission for promoting Producers organizations (Groups and Companies) in the development of value chain and market linkages in the agriculture/horticulture, NTFP in these districts, so that these groups and companies become profitable, bankable and self-sustaining in the long run. Organising capacity building training and exposures for SMMU/DMMU/BMMU functionaries and commodity on Producer Company and value chain concept.